Electroboy beat Hip Hop Man, wants a shot at the Argentina title. hometown Turtles beat the AULL ones. 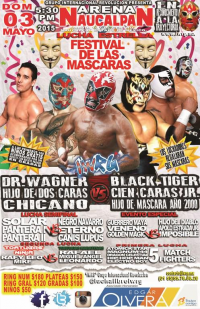 Black Terry returned to his Guerrero Maya identity. Good match, money thrown in. First time Panteras have teamed since maybe the late 80s/early 90s; they had been a regular tag team in this building in the 80s. Good match. 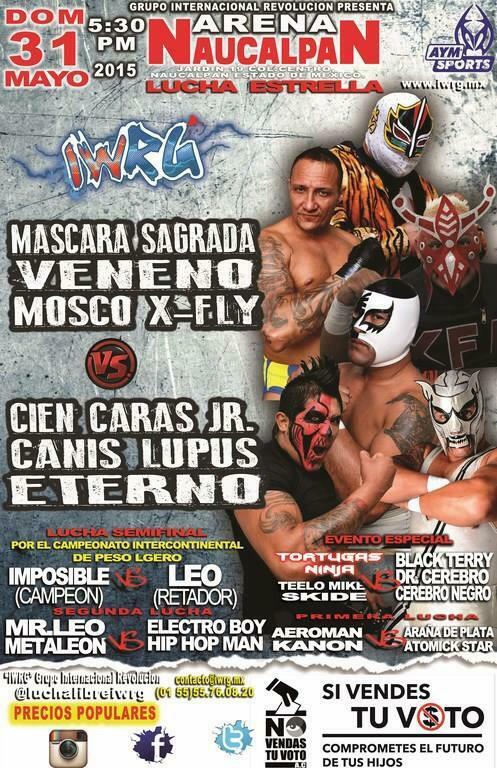 Solar was honored for 40 years of wrestling by IWRG after the match. Black Tiger III unmasked as Silver King (with the Silver King mask.) The two brothers feuded. Dos accidentally got involved in the ending series of mask pulls and fouls, which ended with Silver King beating Dr. Wagner after a foul and challenges all around. Event Notes: big turn out for the show. Debuts for Pleve and Canon. Dragon Celestial replaced Rafy. Leo and Imposible fought late, with Impossible ripping up Leo's mask and causing him to bleed significantly. 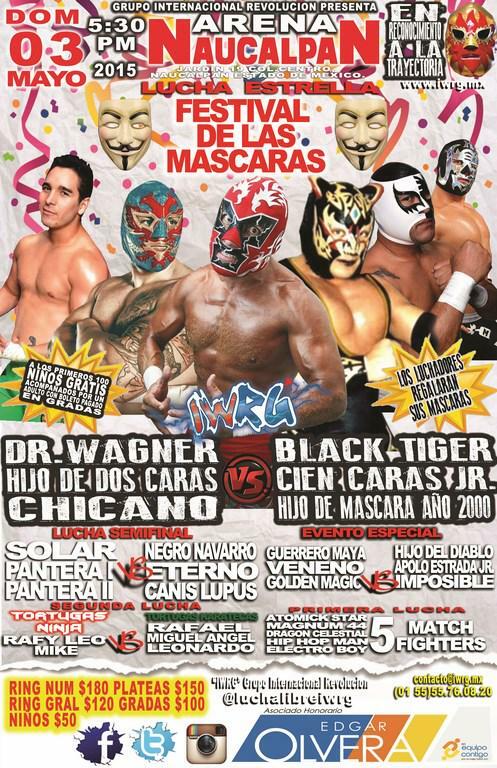 The doctor took Leo out of the match and the rudos took advantage to win. luchadors become lumberjacks with straps when they're eliminated from the match (over the top rope). Roller Boy & Freyser replaced Super Nova (still injured?) and Black Terry (in Guadalajara.) Roller Boy was first out. Match of course came down to Dos & Mascara 2000 again, with Mascara tossing Dos over the top for the win. Mascara 2000 wants a title shot. The Terrible Cerebros took 2/3. Cien snuck in a foul Sagrada. Kanon appears to be a Skayde trainee - he's back for the first time since Skayde was last here. Imposible's 8th defense, first this year. Best match of the show.